When I started on a journey for healthier hair it was because I started to notice things about my relaxed hair I didn’t like. I naturally have really thick hair, but over time I started to notice my relaxed hair was thinning. I also started to notice that my hair was shedding more than usual and it felt dry most of the time. I naively thought that I could search online and find a product that would fix all of those issues. What I didn’t realize was many of my hair habits were the main contributors to these issues. So even if I could find a product that existed to fix all of my issues they would continue coming back until I broke those bad hair care habits. Over time I was able to identify these bad hair care habits and slowly work through breaking them. The thing about bad habits is even though it may seem like they’re gone, they will sometimes pop back up. So I have to vigilant in making sure I don’t revert back. A great way to not revert back to bad habits is to periodically remind me what they were. This was probably one of the hardest habits for me to break because pretty much all my life I was detangling my hair incorrectly. Why I don’t know. Especially when all during my childhood I can remember my mom detangling my hair starting at the ends and working her way up. When tangled hair is combed starting at the root it just drags the knots down and can tighten them making them harder to get unraveled. 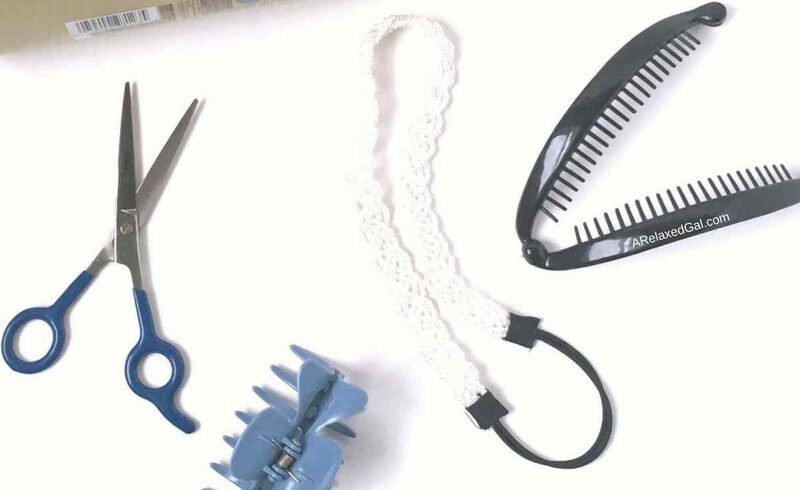 This can lead to longer detangling sessions, knots that can only be removed with scissors or hair breakage. Now when I detangle I use my fingers and work in sections starting at the ends and working my way up each section. 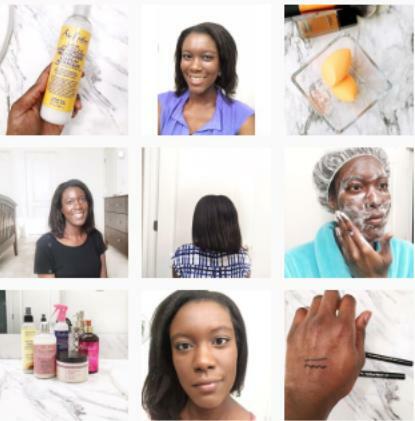 You can see more about how I finger detangle in my post The Best Way to Detangle Your Hair. By not detangling on dry strands I was making my hair prone to breakage and snapping. And believe me break and snap it did. Now before I detangle I make sure to hydrate my hair by applying some type of conditioner, or spritzing my hair with water. We’ve all seen the hair commercials and watched movies and TV shows with women washing their hair. They fill their hair with suds, pile the hair on top of their head and massage. Naturally, I thought that was the proper way to wash your hair. I mean who wouldn’t after seeing those images. Especially when their hair would look shiny and bouncy afterward. As I’ve progressed on my healthy hair journey I’ve realized that way of shampooing is only going to result in tangled hair. It doesn’t matter if I detangled my hair before washing it. Piling my hair on top of my head equals tangles. Through tips from other bloggers and trial and error, I discovered the benefits of washing your hair when it’s in its natural position. I also will sometimes wash my hair in sections decreasing the potential for detangling even more. This is another one that I cringe at. Before I started taking better care of my hair I think I only deep conditioned when I went to the salon every 6-10 weeks. This is probably one of the key reasons my hair would constantly feel dry and would rarely look good in the weeks following the salon visit. Once I learned about the benefits of deep conditioning it became hard for me to not deep condition every time I would wash my hair. Nowadays I deep condition on a weekly basis and have tried several deep conditioners. Two of my favorite ones are Eden BodyWorks Jojoba Monoi Deep Conditioner and SheaMoisture Mongongo & Hemp Seed Oils High Porosity Moisture-Seal Masque. Yep. I was one of those. Every morning I would get up and before heading out I would run a flat iron down my hair to either straighten it or curl it. When I look back I can’t for the life of me understand why. By flat ironing my hair every day I was drying it out and damaging it. The constant heat from the flat iron was drying out my hair which resulted in damage. The additional damage came from flat ironing dirty hair. The heat from the flat iron would open up the hair cuticles and my hair would absorb all of the dirt, grime and environmental elements that say on it. Since starting my healthy hair journey I think I bring out the flat iron maybe about four times a year. And I use it on clean hair. If I decide I want to wear a curly look I use my steam rollers or do large Bantu-type knots overnight. The curls actually look better than when I would use a flat iron. When I used to style my hair by blow drying on high heat at least once a week and then flat ironing every day. With all of this heat, I would rarely use a heat protectant. I’m not exactly sure why, but I vaguely recall thinking that my hair wouldn’t be damaged by the heat and heat protectant was expensive and a waste of money. I can only sadly laugh at that now. I’m amazed that my head even has any hair after all the torture that I put it through. Not only am I using less direct heat, but I’m using a heat protectant when I do use heat. The two heat protectants I’ve used most recently are Jane Carter Solutions Revitalizing Leave-in Conditioner and Silk Elements MegaSilk Olive Heat Protectant. Shampoos with sulfates can get hair really clean. They can also be harsh and dry hair out. So just imagine what I was doing to my hair when I used a sulfate clarifying shampoo when I washed my hair every week. I shudder at the thought. It’s no wonder my hair was dry. I had thought I was being good to my hair by getting it squeaky clean, but in fact, I was doing the opposite. At the start of my hair journey, I switched to only using sulfate-free shampoos and co-washed. I eventually added a sulfate shampoo into my product rotation to help combat the hard water where I live in Florida. So now I have an every other week rotation for my sulfate-free and sulfate shampoos. Before starting my healthy hair journey, I didn’t have a set number of weeks I would go between relaxers. I would go to the salon to get a touch up when it fits into my schedule and I felt comfortable with spending the money. While this ended up being anywhere between 6-10 weeks, there were several times I would go less than 6 weeks. Many of those times I’d get a touch up at 4 weeks post. I started stretching my relaxers and now go 12+ weeks between my relaxer touch-ups. Oh yeah. You read that right. After using a sulfate shampoo, drying my hair on high heat and flat ironing I didn't moisturize my hair. For some reason, I didn’t feel the need to apply any product to my hair. I can’t for the life of me wonder why other than I couldn’t find a moisturizer that felt good on my hair. One that didn’t weigh my hair down or make it feel greasy. I now moisturize my hair regularly. This can be every other day or when my hair looks and feels like it needs moisturizing. I also seal in the moisture using a natural oil or hair serum. All throughout my life I’ve suffered from periods of a dry and flaky scalp. When I was natural as a child and even after I was relaxed. Over time I realized that drinking water helps my scalp feel moisturized which reduces the itching and flaking. I make sure I drink a glass of water before leaving for work in the morning. Then I carry a water bottle with me all day and set a goal of having to fill it up at least twice. I also make sure to drink another glass in the evening before bed. By styling, combing and brushing our hair we cause friction to the strands. This raises the hair cuticles and causes unwanted damage - frizz, damage, breakage, etc. When I constantly combed, blow dried, and flat ironed my hair I was causing a lot of friction. I don’t comb my hair every day. I’ve also stopped using a hairbrush because I found it did more damage to my hair than good. I also wear short-term protective styles like buns and ponytails that I can keep my hair in overnight which leads to less overall manipulation of my hair. I like hot showers. I think they’re fabulous. I’ve always thought the more steam the better. While the steam can be beneficial for my hair, the hot water itself isn’t. Hot water keeps the hair cuticle open which is fine when conditioning your hair, but not for the final rinse. At that point, the cuticle should be closed to help seal moisture in and make the hair look shiny. I’ve started doing my final rinse using cool or cold water. Since doing that I’ve noticed my hair retains moisture better than when I did the final rinse with hot water. When it came to the hair products I used on my hair I wasn’t picky. I would use any and all brands. Basically whatever shampoo or conditioner was cheap or on sale at the store. I didn’t have a brand that I stuck to. Nor did I pay attention to the hair type or problem the product was formulated for. So when I started my hair journey I didn’t have clue about what products worked for my hair and which didn’t. This probably explains why I would have different results each time I washed my hair. When I started my hair journey I tried many different products in an effort to find the ones that worked best for my hair. Now I have a few brands and products that I stick with. By doing this I have more predictable results each wash day. We’ve all seen the images of women with freshly washed hair wrapped up in a towel. It’s an image that I’ve mimicked pretty much my entire life. But once I started paying more attention to how I cared for my hair I started noticing something. After removing the towel I would see several strands of hair stuck to the towel. It was pulling my hair out. After doing some research I learned that many towels have little grooves in them that can pull out hair strands and cause split ends. Additionally, towels tend to absorb moisture from the hair which can cause frizz. I now wrap my wet hair in a t-shirt. They don’t have the grooves that towels do and they absorb water instead of moisture from the hair. 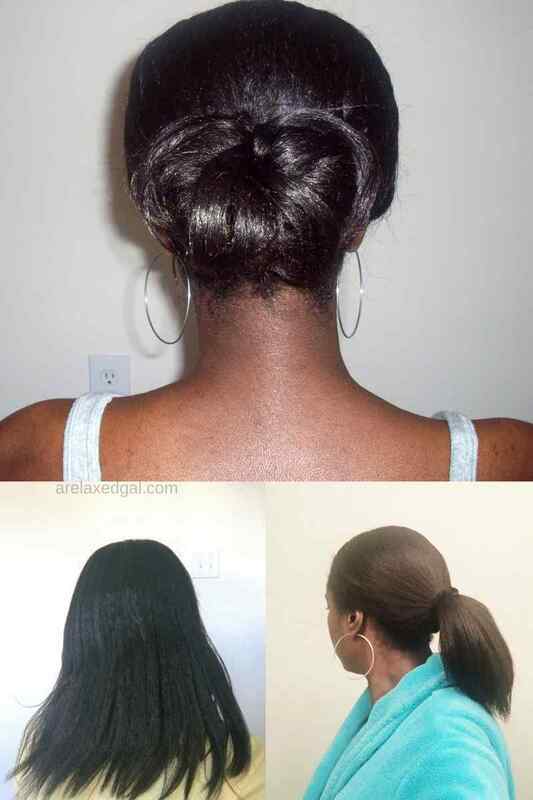 I prefer to wear my hair out, but know that wearing my hair up with the ends tucked away is better for it. When I would wear ponytails or buns I pulled them so the hair was tight. This put lots of stress on my edges which probably caused some thinning. It also caused headaches. When I wear my hair up I do loose buns or ponytails. This puts less stress on my edges and keeps the headaches away. Since I’ve broken or stopped these bad habits I’ve noticed healthier and more manageable hair. Do you have any past or current bad hair habits?